CoreLink, LLC is a vertically integrated manufacturer of spinal implant systems, today announced 510(k) clearance from the U.S. Food and Drug Administration (FDA) to market The FoundationTM 3D Anterior Lumbar Interbody device (ALIF). This marks the launch of the latest addition to CoreLink’s Foundation 3D Interbody Cage family. “I have been very pleased since converting to Foundation 3D Cervical last year. I am excited about the Mimetic Metal technology and have had great clinical outcomes with very happy patients.” said Todd Stewart, MD. 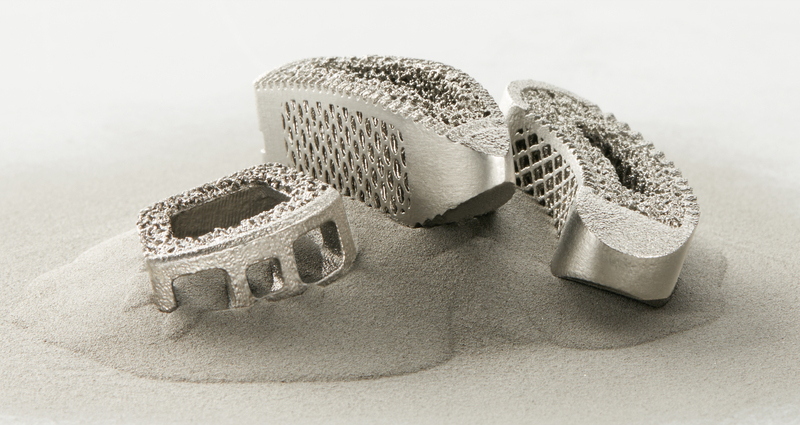 Foundation 3D ALIF leverages CoreLink’s proprietary Mimetic Metal™ technology that mimics key characteristics of natural bone – 100% open-pore architecture and micro roughened porosity with significant hydro-wicking properties. The new ALIF design also features patent pending StrutSure™ technology which creates a combination of load-sharing support structure and interconnected lattice designed to provide optimal balance between strength, stiffness, and stability. This unique structure minimizes implant material density, providing good imaging characteristics. Foundation 3D devices have a low modulus that may reduce stress shielding and enable the benefits of Wolff’s Law.